1. There were no "TSGTs" or Technical Sergeants assigned to the unit at the time. 2. Unit did not have means to transmit this message: Also, unit can't find message. 3. Unit did not have a "CR" or Crash Recovery Team and the "Airport" cited in letter did not belong to unit which was 1/2 mile away. 4. Signature check did not match with that of "Loren Nelson's." And Loren Nelson denies he wrote this letter and he also stated that he never uses "Jr" in his signature blocks. 5. At the bottom right in the "Classified by block." It shows USAFINTR 200-2 or US Air Force Intell Regulation 200-2: The number 200-2 is a Air Force Manual and not a "Regulation" (see attached). 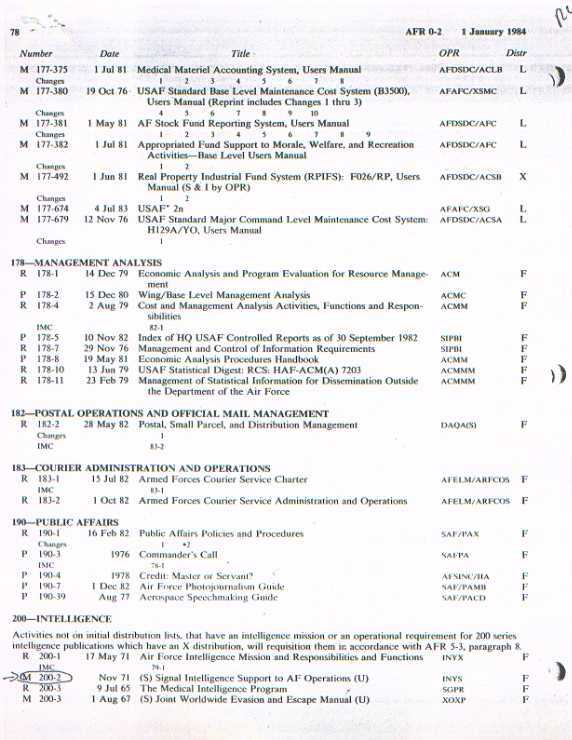 The standard procedures in 1982 were to classify documents with a "Regulation" and not a "Manual." 6. We were informed by the source who gave this letter to one of our sources that he received this "letter" from now retired USAF Col Hennessey's office in the Pentagon "Air Force Office of Special Investigations PJ branch" or AFOSI/PJ: AFOSI/PJ has the responsibility for protecting all "sensitive" classified AF programs and one way of doing this is to dispense "disinformation" to the public through different public media. Col Weaver was/is associated with that office and one who managed publication of the AF's 500 page Mogul Balloon story on Roswell in Sept 95: However, whether the "Hilltop Document" actually came from that office can't be proved at this point. As an added note AFOSI/PJ has also been linked to the "1127th Field Activities Group" now the "Air Force Special Activities Center" or AFSAC which in turn have been linked to the "Men in Black" (MIB) phenomena: Ref: "Far Out" magazine, "Those Mysterious Men in Black;" by Bill Moore, Winter 1993. "PJ" offices are also located at various AFBs and one is at WPAFB, OH. 7. 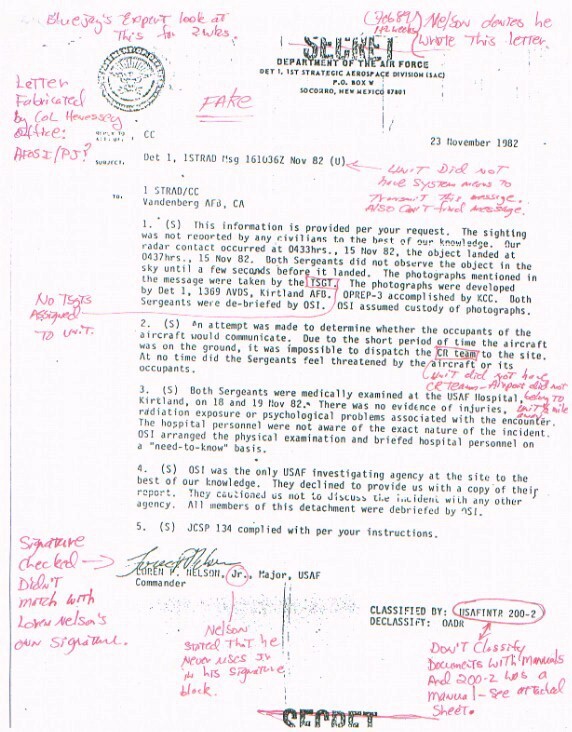 In summary: The event never took place and if the AF did in fact fabricate this document the big question is why? And then why go through so much trouble? If the "Santilli Film" turns out to be a fake then AFOSI/PJ would have had the resources to produce such a fake with a 2++ million dollar budget per year and then the question again would be why? ?